The newly crowned United States Champion Samoa Joe joined forces with Andrade as they both continued their feuds with Rey Mysterio and R-Truth, respectively. 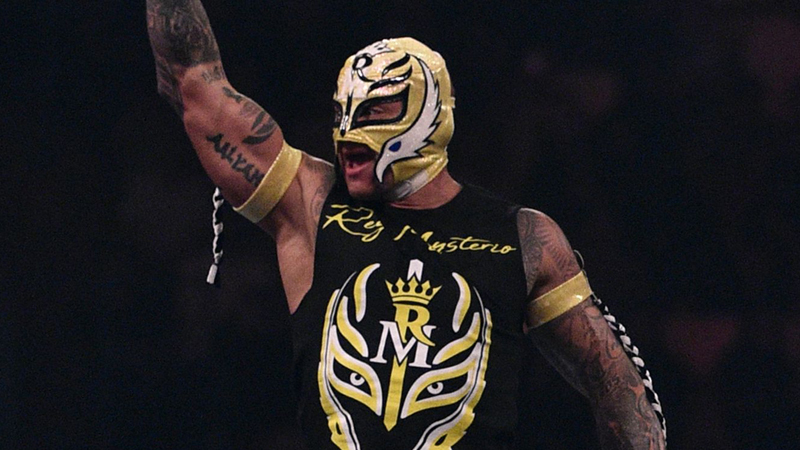 The match started at a frantic pace with Mysterio and Andrade. Joe made a blind tag and grounded the veteran luchador. Joe capitalized on his strength advantage to pound Mysterio before giving way to Andrade to “pick the bones” of his fierce rival. In an effort to prevent the hot tag, Zelina Vega attempted to yank at the feet of Mysterio but was attacked by Carmella. This led to a change in momentum that allowed Mysterio and truth to pick up a victory after Mysterio rolled-up the champion Joe. In a fit of rage, Joe would take out his frustration on not only R-Truth but his partner Andrade.